“Shut up” is nearly always a terrible response. It escalates a disagreement. It’s obnoxious. It hardly ever works. It is a clear signal that someone is losing the argument, their patience — or both. Here it is, though, in the form of a “cease and desist” letter from Ken Paxton, the state’s attorney general, in response to a former employee’s charge that Texas dropped litigation against Trump University for political reasons. 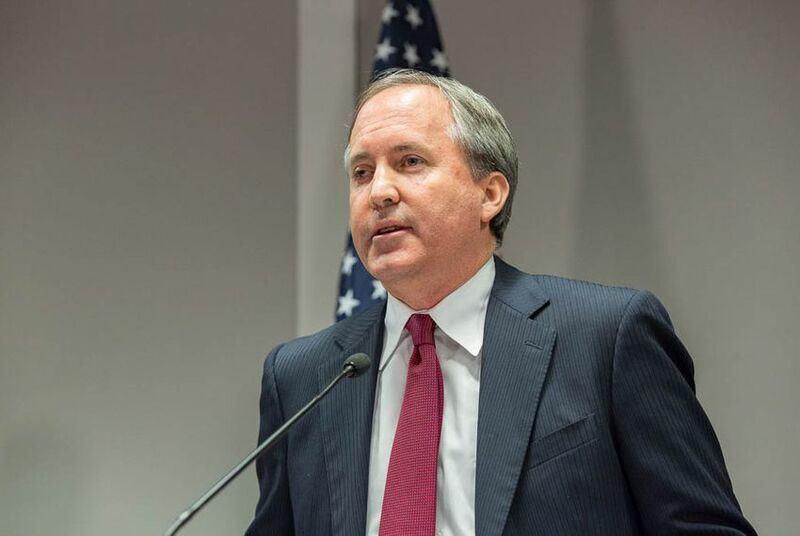 Paxton wants John Owens, the former deputy chief of the AG’s consumer protection division, to shut up. Jeffrey Mateer, Paxton’s number two in the agency, sent Owens a letter this week saying he might be violating attorney-client privilege by talking about the state’s attempts to rein in Donald Trump’s real estate seminars six years ago. For all of that, it’s basically a demand that Owens shut up. It also kept a fuzzy story alive for another day. Texas opened its investigation of Trump University in 2010, when Greg Abbott was the attorney general and Paxton was a backbencher in the Texas House. They were acting on two years’ worth of complaints filed with the Better Business Bureau. In a memo, some of the agency’s consumer lawyers said wanted to sue the operation — more a series of real estate seminars held in hotel ballrooms than what anyone would call a college — for $5.4 million. Their higher-ups decided not to proceed. And Trump made a couple of donations to Abbott in July 2013 and in May 2014. In the worst light — the way the Democrats and perhaps Owens want to tell it — Donald Trump, now the presumptive Republican nominee for president, bought Abbott off. In the best light — the way Abbott’s acolytes would have it — the AG ran Trump U out of the state and protected the state’s consumers by doing so. The nearly 500 people for whom the state was fighting were free to go on and sue the Trump organization for damages on their own. Trump himself bragged to CNN last weekend that lawyers here and in other state governments turned away Trump U cases. He is still defending the school and saying he will reopen it — just as soon as all of the class-action cases it spawned have been handled. The Texans would probably have this in their rear-view mirrors if the current attorney general had kept his head down. Now there’s a new controversy to keep the story fresh. This case is no slam dunk, politically speaking. Abbott got political contributions from Trump, but three years lapsed between the time the case was closed and those contributions: That’s a flimsy foundation for a charge of quid pro quo. Trump is dealing with a related story now about his comments regarding the Mexican heritage of a judge handling some of the civil cases from former students of Trump U. The damage here comes more from Paxton than from Owens. Abbott has a plausible explanation for what happened and even a brag that he ran Trump U out of Texas on a rail. One of his former aides says it was he, and not Abbott, who closed the file on the seminars and annoyed John Owens. Now Bigfoot has arrived, in the form of Ken Paxton telling Owens that he shouldn’t have brought any of this to light. To a suspicious mind, that raises a question about what else lives in the closed-case files that we mere civilians are not supposed to see. Whistleblowers sometimes have interesting things to say. "I have done nothing illegal or unethical as stated in the letter," Owens told The Tribune. "I think the information I provided to the press was important and needed to be shared with the public." In this case, it’s not the crime. It’s the shut-up.